I’m a big film buff and whenever possible I like to escape and watch a film on the big screen. Cine Texas is very close to where I used to live and I would go there often. Although I don’t go as regularly now, I still make the effort; the cost of taking the metro or bus to get there now is offset by one of its great defining features: the entrance price is only 3 euros. This cinema venue has been on the same spot for decades and is a classic feature of the neighbourhood. In fact, my aunt Mari remembers going there at a time when people would simply turn up at the cinema and watch whatever was showing that day. Then, the price of a cinema ticket was very accessible and the choice was not as wide as it is nowadays. In a sense that is what I like most about Cine Texas, it takes me back to the age when the neighbourhood cinema was king. The other aspect is that they show all films in their original language version. 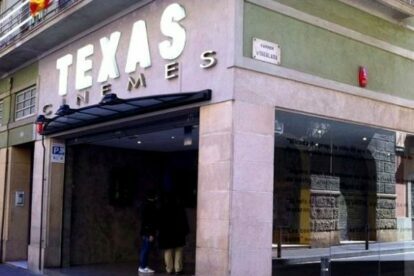 The practice in Spain is to dub all foreign films into Spanish. Although the dubbing is of high quality, I prefer to watch all films in their source language. I often check their listings as they have a great children’s programme on the weekends and also host selections from film festivals from around the world.